Animal charities have topped a new league table of organisations most likely to receive legacy gifts from existing supporters, launched today. 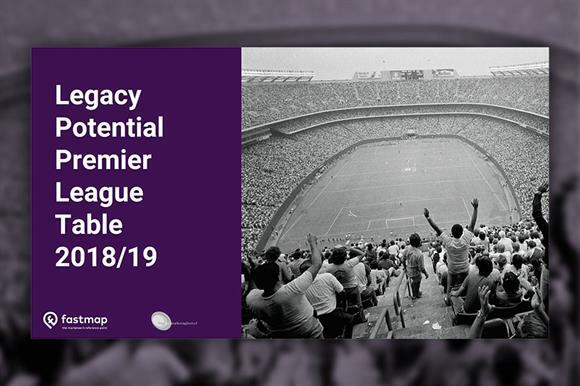 The Legacy Potential Premier League Table, produced by the marketing data company fastmap, ranks 20 charities by their potential to generate bequests in wills from existing supporters. The table was compiled over the past year through an online survey of more than 10,000 charity supporters aged over 50. It shows that Cats Protection is the charity most likely to attract legacy donations from its current supporters, followed by the animal welfare charity Battersea, Dogs Trust and the RSPCA. Cancer Research UK, which according to Charity Commission data last year had by far the biggest legacy income of any charity at £177.8m, came in fifth place. The 20 charities were chosen because they had the most supporters who said they were considering pledging or already had pledged legacies, fastmap said. The table ranks charities according to how likely supporters are to say they will leave a legacy, but it also shows how likely supporters are to reject outright the idea of leaving gifts in wills and how many say they believe that a particular charity has barriers in place that stop them donating. Supporters of local hospices are the most likely to say they would not consider leaving legacies to that charity, and the NSPCC comes out as having the most barriers to bequests among the charities in the survey. David Cole, managing director of fastmap, said: "Legacy fundraising is more competitive than most other forms of fundraising because the most common number of charity gifts in a charitable will is to just one charity." This was true, he said, even among those who already gave to more than one charity. He said legacy fundraising was "a significant growth area" but was held back because it could often be a challenge for legacy fundraisers to prove the impact of any marketing campaigns given that charities might not receive donations until many years after the donors made the choice to give. Cole said he hoped the league table would act as a tool to help legacy donors be confident that they were making good marketing decisions. The league table also displays three "fixtures" between two charities to illustrate where someone who was a donor to both was likely to make a bequest. For example, of people who donated to CRUK and Marie Curie, 42 per cent said they would consider leaving a gift only to CRUK, while 12 per cent said they would leave a gift only to Marie Curie. The remaining 44 per cent said they would consider leaving money to both. People who said they would give to Marie Curie and not CRUK cited its work in their local community; those who preferred CRUK said it was because they understood the charity’s work, it was always in the news and they believed it was working on a problem that needed to be solved. Cole said that it was not possible to plan an entire strategy around fixtures or the league table, but "understanding the strengths and weaknesses of a charity’s closest competitors would help to underpin a marketing strategy" in the competitive legacy sector.